"I invest hundreds of hours each year researching the latest in recruiting technologies and have demoed thousands of tools. I selected Loxo for my own organization out of more than 1,100 applicant tracking systems in the marketplace,” said Tim Sackett, Top 10 Global HR Influencer, President HRU Technical Resources, President Association of Talent Acquisition Professionals and Author. “Loxo is light-years ahead of its competitors. Team's leveraging Loxo will have an immediate strategic advantage and see productivity and recruiter effectiveness skyrocket." New and repeat clients are essential for the survival and success of recruitment agencies, and finding new clients and new ways to serve clients should be high on your priority list. By finding new clients who are perfectly suited for your agency’s focus and finding new ways to provide value for existing clients, you can increase the size of your clients served portfolio and increase industry/overall stature of the clients you serve. Whether you are an independent recruiter or run a large agency, focus on finding clients who are especially suited to your company’s focus, who have a good level of stature in your industry or who contract you repeatedly will contribute to your long term success. This way you can present faster time to fill, new hire performance and higher client satisfaction metrics to new clients, further increase your ability to sign new clients and your number of inbound leads. How do recruiters get clients? How to get clients for job consultancy? How to get clients for recruitment agency? How to get clients for recruitment consultancy? If you have been finding clients for years or read our last post on how to get into the recruiting industry [internal link], then many of your initial questions on the nuts and bolts of finding clients for your staffing agency have likely been answered. So, how do recruiters find clients? There is no magic bullet for finding new clients, but there is also no limit to the strategies you can employ for finding more business for your agency. That your agency has the expertise, resources, technology and track record to deliver a high quality hire they can’t source themselves. That your assigned recruiters are highly qualified for the candidate search. However a potential client arrives at all of these conclusions (your website, a recommendation in their professional network, a direct pitch, etc.) all are must be met before a client will feel confident in contracting you, not just reasonably comfortable. Agree to providing written/video testimonials. Assist with case studies . Get your agency on retainer for recruiting, executive coaching and other services. It may seem daunting when you're first starting out, but just remember that for every question you have, there is an equal amount of resources, platforms, and guides out there to help you along the way. As great as it would be for businesses to approach you with their recruiting needs, you will more often than not find yourself needing to find with new clients. Here are several of the most common answers to the question, how do recruitment agencies get clients? A good way to see who's hiring in your area is to look at the various digital job-posting platforms and identify businesses that put repeated listings. Companies with high turnover or within a rapidly growing market, like software for instance, that are posting on these websites, are more than likely going to be receptive to a pitch that offers to help mediate and facilitate the process of hiring new talent. When scanning these sites, look at industry-specific job boards. These will help narrow your search, thereby allowing you to hone your pitch, and lead you to companies that best match your recruitment specialties. If you have focused on recruited in a specific industries, roles and skill sets, you will have a leg up in pitching clients on your ability to deliver talented candidates. This is an effective method of sourcing clients, especially if you are exploring how to get clients for software companies, or how to get clients for a temp staffing company, or any other skill-specific market you are hoping to establish a foothold in. Note: while not as cutting edge, applying this same method to the job listings in your local paper can open you up to clients that are locally-focused and may otherwise slip under the radar. We are living in a time where over 90% of surveyed businesses acknowledge that social media plays a fundamental part in their marketing and sales models. Because of this, almost any business, in any market, you can imagine will have a presence on social media. Don’t be afraid to source prospects from sites like Facebook, Instagram, Twitter, etc. as these platforms are some of the ripest grounds for making connections. Just be sure to check out which social platforms potential clients are the most active one to find your best contact channel. If you were hoping to make a more formal introduction than through social media, LinkedIn is an invaluable resource. The reason why so many recruiters use LinkedIn to find candidates is that you are able to list your qualifications on your public profile for everyone to see, reach out to potential clients in a more professional context, and also source candidates from the same. As far as recruiting in the digital age goes, there aren’t many better places to start than on LinkedIn. Referrals are an underutilized method of prospecting new clients, but word of mouth is one of the most effective methods of getting new clients. Having a previous client refer you to a new one is how recruiters find clients once they have started to build up their reputation and the number of client’s they’ve served in an industry. It will always be easier to close on a client if you were sent to them by someone they know and trust. The following section is a list of questions you can ask yourself when considering how to approach clients for recruitment. By answering these questions, you can create the building blocks of your client acquisition strategy. If you can answer these questions definitively, then you are well on your way to knowing how to get clients in the recruitment business. Which clients that you’ve served can be provide the most valuable referrals because of their business relationships or stature? How many placements can you handle at once? Have you had clients of their size/industry standing in the past? Do you have the candidate connections/sourcing technology to present candidates who will meet a potential client’s skill/seniority/experience requirements? How are you using your presence on Social Media and do you have access to groups and demographics that will yield quality clients? What are some potential pain-points of potential clients you evaluate and what can your agency do to alleviate them? What benefits will your agency provide that they won’t find anywhere else? If you identify clients who have needs perfectly suited to your agency’s recruiters, tech stack and track record, then they will conclude that you’re the perfect agency to hire. To help them reach this conclusion in your initial discussions and pitch, answer these questions to define what criteria this client has for this recruitment project and how to meet them. How will you differentiate yourself from competitors your prospects will be researching/meeting with? What are some potential questions or concerns that your prospects may raise, and how will you respond to them? Do you have any counter-offers prepared in case the prospect rejects the initial offer? How much can your prices be adjusted? Which clients in your portfolio will be the most effective case studies for proving your ability to serve this new client or provide new services to an existing client? We hope that this guide has helped to shed some insight on how recruitment consultants find clients, and will aid you in finding your next big client. Relationship building and maintenance is key for any business, but none more so than recruitment agencies. 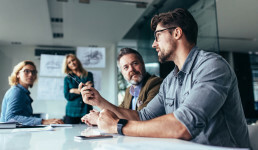 As a service provider that creates relationships between great candidates and great companies, the tools you rely on to create these connections need to be suited to the task at hand. By using a CRM for recruiting, one that tracks both client and candidate relationships in the same platform, you can streamline your client-candidate connection building process and save the time you used to spend bouncing from platform to platform. What is a CRM for Recruiting? The best way to facilitate the needs of both clients and candidates is to have constant, up-to-date information and communication lines between them at all times. If you have solid communication control between your firm and your client’s/candidate’s needs, you can ensure a steady relationship maintenance and nurturing, predict future services, and bolster your agency’s relationships for long-term success. In recruitment, firms are able to maximize their technological efficiency by combining a customer relationship management (CRM) system and an application tracking system (ATS) into a single, all-encompassing tracking program. While a CRM will allow your firm to manage all your company’s interactions with current and potential clients, an ATS automates and organizes all recruiting and staffing operations, providing a central repository for your customer tracking system and candidate database. Because recruitment depends entirely on managing relationships with candidates and clients, combining these platforms into a simple, overarching system will give you a huge advantage and strengthen your relationships on both sides of the recruitment equation. Having a CRM for recruiting is a big advantage, but you still need to use communication best practices to ensure your investment in this tool pays off. Use these best practices to ensure that your CRM for reciting is being put to use effectively. Utilize your CRM to stay in touch with clients and candidates, and track their activities. CRM tracking gives you insight into how and when you last reached out to your new, existing, and potential clients, as well as passive and active candidates. By tracking the last time you contacted a client or candidate and their preferred method of contact, you can ensure that you’re maximizing outreach effectiveness and not over contacting some while leaving others in the dark. Active and engaging lines of communication will help strengthen your business ties and remind your clients that your services are there whenever they need them. 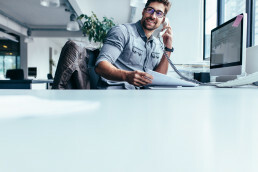 Additionally, this high level of communication is essential for building candidate connections that are strong enough to convert into placements. Since your CRM is only as good as the data stored in it, it’s important to keep your records and customer tracking database up-to-date and accurate. This means implementing processes that remove duplicate records, clean data with updated firmographic variables, and review emails and contact information so you can flag invalid lines of communication. While it's important to constantly review the efficacy of your data, it’s also important to understand changes in the industries you serve. If changes to industries and companies mean new hirings needs, then updating those search needs to fit new demands will be an essential step that keeps you ahead of the competition. 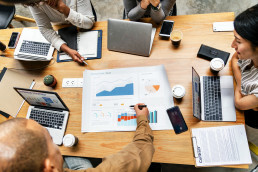 Being up-to-date on both existing and potential data, as business needs fluctuate and shift, will guarantee your firm is in the best position to hit your short and long-term goals. Critical events occur all the time in business. CEOs get replaced, company acquisitions and mergers take place, and new product lines are announced perennially. What this means for your firm is that new opportunities present themselves to serve existing and potential clients. Mergers can indicate that an existing client will have new hiring needs and require new candidates for you to reach out to. New product lines can lead to needs for new product designers, marketing teams, and technology development groups. Utilize critical event client/prospect information in your CRM and customer tracking program to take advantage of these developments. Paying attention to the activities in your clients’ industries will guarantee that you’re on top of these shifts as they progress throughout the year. The best way to beat the competition is to approach clients with solutions to needs that they themselves didn’t see coming. The more information you have about your clients, the better you can anticipate client needs and pitch them solutions to fulfill those needs. In order to anticipate client needs--referring to your recruitment CRM as a starting point--you need a deep understanding of your client’s history, their benchmarks and KPIs, and the field they’re working with. Look through your data to track seasonal hiring trends with specific clients. If technological innovations are introduced to certain industries, let your clients know that you have the infrastructure to accommodate those services. Having the most up-to-date tracking systems, knowing the industry you’re serving, and constantly communicating with your clients to know where they are and where they're headed are all important parts to anticipating your client’s needs. Your CRM is your primary resource for storing information and presents a myriad of unique ways to provide service opportunities for clients. Reviewing a CFO’s executive history, for example, could show that they have 5 years less experience than other executives, giving your firm an excellent opportunity to offer additional coaching/benchmarking services. Think outside the box and try to find new ways to utilize your CRM to create new opportunities for expanding services. Your CRM is a tool that’s utility is only as effective as the recruiter handling it. Whether you’re using the customer tracking software for small business or corporate-level clients, Loxo has all the tools you’ll need to source, connect, and engage with your clients. Loxo’s state-of-the-art recruitment CRM and ATS system guarantees a simple, elegant, and smarter recruiting experience so you can streamline your workflow and maximize productivity on all levels. Further than collecting all of your candidate/client data in one platform, Loxo’s sourcing AI automatically gathers data on all candidates and client contacts in platform from across the internet, automatically populating this info under each candidate and client profile. To see how Loxo’s all in one ATS+CRM for recruiting can better support your agency with AI sourcing, you can schedule a demo here. Understanding the compatibility between your firm's capabilities and your client’s needs is one of the first steps in achieving an efficient and quick time-to-fill record. By focusing on where you excel, your firm can identify and gravitate towards clients and fields that are conducive to more efficient and faster executive search projects. Recruiting firms offer a vital service and are constantly in demand, but with so many recruitment companies out there, it’s easy to get lost in the crowd. To get more business for your agency and build greater awareness for your company, you can employ a variety of marketing strategies for staffing agencies to elevate your industry standing and get your name out to more companies who need your services. Marketing agencies can be used to achieve a number of goals such as getting more traffic on your website or getting an article published in a nationwide outlet, but there are plenty of marketing ideas staffing agency that you can implement on your own that we cover in this post. You can never have enough marketing strategies for getting the attention of clients that your recruitment agency is primed and ready to serve. To ensure that you don’t bet on a non-starter, try to pursue several of the following strategies concurrently and allocate more resources depending on the results you’re getting. Even if the only marketing you’ve done has been marketing candidates resume, you can use the following marketing strategies for recruitment agencies to increase awareness of your agency, and increase the number and prestige of the clients you serve. Sponsoring a study, an infographic or another valuable asset can be a great way to increase stature in your industry. If you can provide statistics or a study that make it into a major publication or becomes the month’s top shared piece of content, then your agency can be front of mind for the exact companies you want to be in touch with. By marketing your recruitment company using these strategies, you can increase awareness of your agency to start getting more and better clients. To help you manage all of the new clients you’ll be attracting, Loxo combines your ATS and CRM so you can keep track of all client and candidate relationships in one place. With Loxo’s sourcing automation, top candidates are identified using AI then populated in your ATS with their contact and profile info, leaving you free to spend more time marketing your agency. To see how Loxo’s sourcing automation can improve your client satisfaction ratings and give you more time to market your agency, schedule a demo here. As we move more and more into business models and a labor market defined by independent contractors and the gig-economy, there is an increased necessity for structured staffing agencies to provide temporary labor for a variety of different services. The question, then, for for entrepreneurs is how to start a temporary employment agency that can capitalize on these market forces? In this article we will look, step by step, at what goes into starting a temp agency, from developing a brand and networking with businesses looking to hire, to attracting talent and potential temp hires. The first thing to check off your list when starting a temporary staffing agency is its focus. A wide variety of industries rely on temp workers to fill in the ranks, and specializing your agency will ensure the best chance for market penetration in whatever industry you choose to pursue. An additional aspect to consider is what level of expertise or education different industries require for hiring. Staffing out to finance or accounting firms may be more difficult for you than staffing service workers. Whether you are starting a staffing agency in GA or NYC, understanding how to start a temporary staffing agency that will succeed starts with identifying your target market. To create a temp agency that succeeds, think about how you can best serve the industries concentrated in your area or identify an area with a high concentration of the companies you want to work with. By focusing on your target market first, you can define the focus of your agency and build a company and brand that fit perfectly with this focus. How to start a temporary staffing business that is set apart from other staffing agencies? Identifying and targeting specific markets will help your brand to stand out, but starting a staffing business can be highly competitive and you should develop a recognizable brand to give you an added edge. The first assets you need are your name, logo, and website, as these will be the first introduction to your company that most potential clients will see. Make sure your company’s name stands out (but is still recognizable and appropriate), that your logo is eye catching and professional, and that your website is intuitive and clean. Additionally, develop a brand-voice that is confident, dependable, and invites communication with clients. Now that you’ve identified your focus and started to build your brand, it’s time to get into the nitty gritty of starting a staffing agency requirements. Once you have the preliminary footwork of identifying target markets for your staffing agency, developing a brand, and designing a site, it’s time to start your business. Register your company’s name and apply for a business license with your state and your county/city if required. Open a bank account in your company’s name. Research the OSHA requirements for your staffing agency and acquire all required posters and other required employee resources. Trademark your company’s name and logo. Identify an office space that meets your needs. Make sure that you have filed all paperwork on a local, state and federal level. If you have the resources, it may be a good idea to hire a core staff to help you with accounting and recruitment. If you are starting a staffing agency with no money, just be sure to check and double check that everything is above the board and following business guidelines in your area. To ensure your temp staffing agency is a success, you will need business and recruiting tools to manage client relationships and source the talented temps your agency depends on. Loxo is an all in one recruitment platform that combines your ATS and CRM, letting you manage client and candidate relationships in the same place. Using AI, Loxo automatically sources the best temp talent in your area of focus and region, then populates their profile and contact information in your ATS. Essentially, Loxo does your sourcing for you, leaving you free to get to the other million items on the to-do list of a business founder. One of the most attractive aspects of starting a staffing business is that, in addition to a lucrative business plan, it offers opportunities to temp talent to make an impression on the companies they’re working for. When recruiting talent for your agency, try to frame your outreach as an offering of mutually beneficial opportunity. Good places to look for temp talent, outside of standard online listings, can include online groups for temp workers in your industry of focus, local college campuses, community resource centers, and a good old fashioned classified listing in your local paper. Acquiring the first clients of your temp agency should be done in tandem with your talent acquisition, to ensure that there is work to be done and people to do it when you launch. If you are starting local, the best way to go about acquiring new clients is researching companies in your area of focus that are likely to have need of your services and reaching out, or targeting them with advertising campaigns. Next, you should try searching local online and print listings for businesses with wanted ads and/or high turnover rates. Reach out to these businesses and ask whether they would be interested in contracting you to provide them with temporary staffing. Just be sure that you have the right temp talent for the companies you are pursuing. If you are contacting event production or catering companies it may be for extra hands on larger events, for office-jobs or retailers it may be for interim labor or seasonal overflow. No matter what, be sure that you are clear on your rates and what you are bringing to the table in terms of qualified and dependable labor before sitting down with a business owner to sell a contract. Once you have clients and talent for their temp needs, successful business operations are just a matter of keeping the wheels turning as you expand your client base. Be sure to check in regularly with your clients to ensure they are satisfied with the temp-workers you’ve hired. Make sure work is being performed in a timely manner and up to a standard that represents your agency in a positive light. It can be difficult to start a temporary staffing agency, but if you make sure that you are prepared and ready to work hard to build up your business, it is an immensely lucrative pursuit and will provide a benefit to both businesses and workers in your community. Loxo is an all in one recruitment platform that helps you manage both the client and talent sides of your temp agency, combining your ATS and CRM to keep all of your business and talent relationships in one place. Powered by AI, Loxo’s sourcing automation finds the brightest temporary workers in your area and gathers their contact/profile info, leaving you free to run your business and find new clients. To see how Loxo can be the bedrock of your new temp agency’s success, just schedule a demo here. Email and InMail are the primary communication channels that you will use to begin and develop relationships with candidates, as well as manage candidates in the hiring process of your clients. It’s essential for all emails you send candidates to be clear and courteous, leaving no room for misinterpretation. You can use these email templates to help you save time when communicating with candidates at various stages of the talent lifecycle, and you can use Loxo to send these emails with our candidate marketing automation tools. Use these email templates when reaching out to candidates you want to recruit for your current openings and for candidates you want to form connections with for future roles. Use this template to help you form connections with talented candidates through LinkedIn InMail, the most widely used platform for contacting passive candidates. 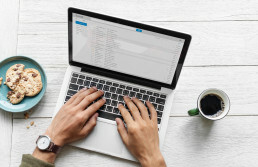 It’s important to be transparent with candidates, provide them value, and demonstrate that you are not just trying to shove them into a role you need to fill.You want to form a connection, so take some time to personalize their email in an effective way. Your profile caught my attention while I was searching for [Skill Set] experts. I was really impressed with the work you did for [Former Employer] and I think you will find the [Skill Set] work that [Client Company] is doing to be quite interesting! If you think that a [Skill Set] role in the [Client Industry] Industry sounds interesting I’d love to tell you more about this opportunity. Just reply back with any questions you have or any times that work for a quick phone call. Also please let me know if this role isn’t right for you and why. My goal is to better understand the kind of role you want to take on next in your career, whenever that may be. 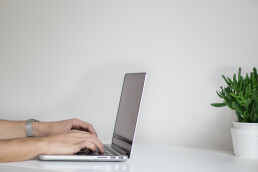 Candidate referral emails are effective because they give you a connection to candidates through their reference. 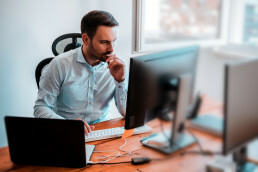 Before you reach out to referred candidates, be sure you understand the exact nature of their relationship to their reference, so you can sound authentic and more effectively leverage the connection your reference has with this candidate. I was working with [Reference] helping them [Recruiting Activity Performed for Reference], and they told me about your [Referred Candidate Role] experience. I’ve worked with [Reference] for a while, and we’ve talked quite a bit about their career goals and what they want in their next job. This is where I like to start: learning what you want from your career so I’m not showing you jobs that you won’t be interested in. Knowing what you want from your next job also helps me advise you on any job opportunities you come across, as I’ve seen quite a lot of [Referred Candidate Role] opportunities this year. Right now, I’m working with a [Client Company Industry] company doing [Client Company Focus] work, and I think it could be a good match for you: [Link to Job Ad]. If you are interested in this opportunity, just let me know and I can get you set up with an interview, because of how highly you come recommended by [Reference]. If this [Referred Candidate Role] opportunity isn’t right for you, just let me know how this role isn’t right so I can show you opportunities you will find interesting. Use these email templates to confirm the best time for candidates to interview and to provide candidates with information to help them perform well in their interviews. Use this interview to send candidates a link to your Interview Calendar, so they can choose the time that works best for them, or inform you that they need to schedule an alternate time. I’m happy to inform you that interviews for the [Open Job] role will begin soon! The first week of [Interviews Type (Phone Interviews, Initial Interviews, etc.)] will be [Start Date - End Date] and will resume between [Start Date - End Date]. Follow this link to our Interview Calendar so that you can select the interview date and time that works best for you. If none of the provided dates and times work for your schedule, please let me know so that we can accommodate you. Use this email template as your automated response triggered by candidates choosing an interview time on your Interview Calendar. Thank you for selecting your interview date in our Interview Calendar! Your [Interview Type (Phone, Initial, etc.)] is scheduled for [Interview Date] at [ Interview Time]. We will be sending you an interview overview email in the meantime so that you can become familiar with the people you will be interviewing with. This email should be sent the week prior to a candidate's scheduled email, to help them feel prepared for their interview and to become familiar with their interviewers. We’re excited to learn more about your [Skill Set] experience and get to know you a bit better in the process. We want you to succeed in your interview, so here are the people you will be interviewing with and some background on what they do for [Client Company]. This interview does not require you to bring any tools or supplies, but you will be asked to complete technical questions during the interview. We’ve included some sample interview questions below as well. Use these email templates to update candidates about changes in the interview process, to ensure that all candidates are properly managed and don’t get a bad impression of you or your client’s company. Use this template to reply to candidates who need to reschedule their interview because of a schedule conflict. Sorry you won’t be able to attend your interview scheduled for [Scheduled Date and Time], thank you for letting us know in advance. Most of the interview times have been booked already, but the following dates are still available. If these dates and times do not work for your schedule, please reply with an alternate date and time so we can try to accommodate you. Use this template when you need to reschedule a candidate’s interview. To ensure that all candidates have an equal opportunity in the interview process, this email states that no further hiring decisions will be made until all candidates have had a makeup interview. I’m sorry for the inconvenience, but your interview scheduled for [Interview Date] needs to be rescheduled due to [Reason for Reschedule]. No applicants will be advanced in the hiring process until you and other applicants being asked to rescheduled have been interviewed, to ensure fairness for you and all other candidates. Here’s a link to our Interview Calendar so you can reschedule your interview between [Start Date - End Date] or Start Date - End Date]. Please let me know if you cannot make it to an interview in the dates and times provided in our calendar, so we can accommodate your schedule. Use this email template to update candidates on their performance in interviews with feedback from their interviewers. This keeps talented candidates engaged in the interview process and shows all candidates where they have performed well in interviews so far. We were really impressed by your interview on [Interview Date] and look forward to seeing you in your next interview on [Next Interview Date]. I’ve included some of the comments the interview team passed on to me and some questions that they had following your interview. I will be sending you a link to schedule your next interview this week. Use this email template to inform candidates that they will not be getting the job they have been interviewing for. Thank you for taking the time to interview for the [Interviewing Role] position. I regret to inform you that you will not be advancing further in the interview process. We appreciate your efforts in the interviews you have taken part in and, if you want to be informed about future [Job Type] interviews at [Client Company], please let me know. Use this email to cancel interviews that have been scheduled with a candidate when there will be no re-scheduling of this candidate. It is crucial that all candidates are given equal consideration for roles, so be sure that you aren’t cancelling an interview with a candidate for legally groundless or illegal reasons. I’m sorry to inform you that your interview scheduled for [Interview Date] has been cancelled. We hire for [Job Title] Positions frequently, however and we would like to keep you updated for our next opening because we think your skills would be a great addition to our team. Please let me know if you would like us to keep you on file for future openings. When the time comes to send out your recruitment and candidate management emails, Loxo makes it easy to manage candidate email communications with our built-in marketing automation suite. By automating emails and using Loxo’s chrome extension to connect on LinkedIn and other channels, you can send more personalized email more easily.To see how Loxo levels up your candidate email activities, you can schedule a demo here. 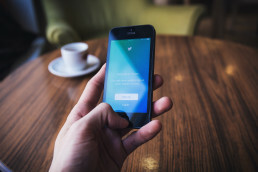 Social media can be one of the most effective recruiting tools at your disposal, but social recruiting isn’t automatically going to deliver great results. To get the benefits that social media can offer your recruiting, you need to use these tools strategically, understand your audience on each social platform and use good social media etiquette when talking with candidates. 94% of recruiters use or plan to use social media in their recruiting this year. 69% of candidates would not take a job at a company with a bad reputation (your social media reputation is your actual reputation). 73% of millennials found their last position through a social media platform. By using best practices for developing candidate relationships and social media sourcing strategies in this post, you can tap into the ever-expanding use of social media, and use these platforms to great effect in your recruiting. Your profile on each of the social recruiting sites you use should be tailored to the primary use of the social network (sharing images on Instagram vs. sharing industry articles on LinkedIn), and the candidates you hope to reach on this social network. LinkedIn - Known as the professional social network, LinkedIn is one of the best social networking sites for recruitment because A) people display their entire careers on LinkedIn and B) people create LI profiles to network for job opportunities and to be contacted by recruiters. Your LinkedIn profile picture should be of you dressed like you would at an industry event: not so formal that you stand out, but definitely nicely dressed and appropriate for the crowd. Facebook - Your Facebook profile should not be as formal as your LinkedIn profile, but you should still look professional. Joining industry, job or skill set specific groups can be a great way to connect with talent. Additionally, Facebook Jobs (Facebook’s job board platform) will be a great candidate source to leverage in recruitment projects for your clients. Instagram - Though this social network is less often associated with recruitment, Instagram is used heavily by millennial professionals and creatives in particular. Becoming popular on instagram can make the career of designers and other creatives, and contacting a talented digital artist through this network can be a great way to get their attention. Twitter - Twitter is all about what’s trending and its 280 character format can be a great way to generate interest in your jobs. The profile you create should be named something like “Your_Name_YourRecruitingFirm,” so that people interested by your tweets know they’re looking in the right place for a job. Keep your tweets short and snappy, and use hashtags popular in your client’s industry for a chance to go viral when sharing job descriptions on twitter. Here are some general guidelines for creating your social network recruiting profiles on different social networks. Consider the industries you recruit for when choosing your profile pictures. Find out which social media platforms are used most heavily in your industry. Research which social networks will be most effective for recruiting candidates for various roles, seniority levels, skill sets, etc. Find online forums that correspond with popular professional groups on social media. Join groups on social platforms that talented candidates and fans of your clients have joined. Most candidates will research your client’s company on their favorite social platforms to evaluate their “employer brand,” or the work experience they can expect when joining the company. Because social media is so influential to candidates researching your clients, your clients need to have current content on each social profile that positively portrays their employer brand. There need to be pictures showing what it’s like to work for your client’s company (office space, facilities, office building, company outings, etc.). There need to be stories shared by employees about how great it is to work for your client’s company (video will engage more viewers). There need to be positive experiences shared online by former and current employees. There need to be positive feedback on professional networks like the company’s LinkedIn and Glassdoor profiles. It should be easy to find your client company’s career page from any social profile. With all of this content in place, it will be easy for candidates who see your client’s job description to research the company on social media and decide they want to work there. The better supported you are by your client’s social media team, the more successful your social media recruiting efforts will be. Always coordinate with your client’s social media manager to promote your job opening and to post content that will be enthusiastically received by candidates in your client’s industry. For example, by learning which posts have received the most engagement from your target audience, you know what kind of content will help you get the interest of qualified candidates. Your client’s social team will undoubtedly be posting the job description for your client’s open jobs, and sharing these posts using your recruitment profiles is a great way to expand the reach of these posts even further and monitor their popularity. Always coordinate with client social media experts to learn about their social strategy and the content they post that is most popular. Always consult with client social media experts to ensure your social promotion of their job opportunities is in-line with ongoing social marketing activities and correct for their target audience. Always emulate and incorporate the brand and employer brand of your clients, but do so subtly and never as a cheap imitation of their own social recruiting efforts (this makes both of you look bad). While you should never try and replicate the brand voice used by your clients on social media (this is often heavily managed), your tone should be similar enough to appeal to the target audience of your clients: the people they want to recruit. For example, when recruiting for a game studio, your Twitter post should be similar to their internal promotion of an open QA job, but your promotion should be the “recruiter version” of their brand voice. This way, you can attract the interest of the kind of candidates they are looking for, and expose candidates to a post from the company that is even more in line with their interests than your introduction to the opportunity. By emulating the brand voice of clients, but not trying to copy it, you can attract the kind of candidates your clients want for their open job. By linking to your client’s posts promoting the job, candidates can see that your client’s company is the kind of place they want to work. People use different social networks for different reasons, and you should understand the audience of your clients on each social network you use for social recruitment. This way, you can get more interest for your client’s job openings. See what kind of social content is enjoyed by and is being shared by people who are active fans of your clients. Learn what topics and professional concerns are top-of-mind for this highly engaged demographic. Get access to professional groups likely to contain people who would be highly interested in the job you are promoting. You should also understand the general audience demographics you are reaching on each social network. For example, while you will find a broad demographic range when viewing Facebook users who have liked your client’s company, you will typically find a much younger demographic when viewing Instagram fans of your client on Instagram. Which posts by your client have gotten the most positive attention? What kind of content did they post? Which of the people who have liked or commented on your client’s page seem to be of the right skill/experience level to be considered a good candidate? Which online industry/professional/job/skill groups are these potential candidates part of? What is top-of-mind for people in these online groups? What are they talking about? What are they posting? What are popular and unpopular opinions in these groups? What other pages and companies are being followed by your client’s followers? Social recruiting tools are tools created to help recruiters get the most out of their time invested in using social networks for recruiting. By investing in social media tools, you can level up your ability to discover and source candidates on social networks, but you should be sure that you’re choosing the right social recruiting tools for your needs. Save time while researching candidates on social platforms. Help you uncover great candidates throughout one or multiple social networks. Easily extract information from social networks to your ATS. Give you tools to enhance communications with candidates on social networks. LinkedIn Recruiter - LinkedIn Recruiter is one of the most popular social media recruiting platforms, giving recruiters advanced filters and suggestions for candidates based on their skills and “signals” that these candidates are more open to job opportunities. The social recruiting platform also allows you to monitor top candidates for updates to their profiles, allowing you to reach out at the perfect time. This LinkedIn social crm for dummies is frequently used by social media staffing agencies, for example a social media agency in New York. Loxo - Loxo is an all in one recruitment platform that has features of the best social recruiting software, allowing you to source from multiple social networks and post job openings to the social networks used most heavily by your target candidates. Powered by AI, Loxo takes your social media sourcing to the next level by searching social networks for the high quality candidates you’re looking for, then automatically sourcing them into Loxo’s ATS and collecting their contact info and social profiles. To see how Loxo can boost the results of your social media sourcing and your recruiting efforts, you can schedule a demo here.